Partners in the Parks is an outdoor experiential learning program that partners National Parks with host University Honors programs in the region to create week-long adventures in education. 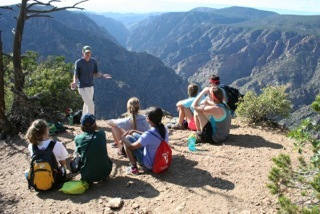 Over the course of these programs, University faculty and National Park employees give students a unique understanding of both the natural and cultural diversity of the park as well as research and management issues unique to the park. Students not only get to see what a park really “is” and “does” by meeting the incredible people whose research and work ensure its survival, but also enjoy recreating in some of America’s most scenic destinations. After many years of hosting honors students from around the country on our previous programs in Olympic National Park and Mount Rainier National Park, we are more excited than ever to publicize all of these unique and wonderful opportunities to you. 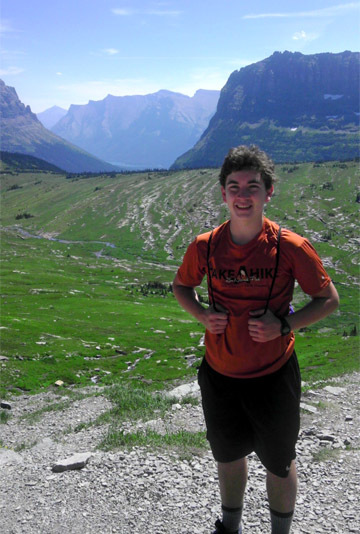 Partners in the Parks encourages students to travel to a park and program not hosted by their own University and instead explore a new region of America. Registration priority on our own regional programs will be for students from other Universities. UW Honors students may meet the Experiential Learning leadership requirement by participating in any Partners in the Parks program. Please see an Honors adviser for information regarding an additional leadership project and look at our Experiential Learning website for more on the requirement and application process. Learn more about Partners in the Parks — and see which Parks will participate this year — by visiting the website here. From there, you can also read more about the individual programs and enroll in a program! We are thrilled to once again be able to offer one Partners in the Parks scholarship to cover the registration fee of an upcoming Partners in the Park program. Applicants must be UW Honors students in good academic standing within the UW and the Honors Program. Interdisciplinary, Departmental or College Honors students are all eligible. Applicants must have enrolled in an upcoming Partners in the Parks program. Please note that enrolling in a program does not guarantee or confirm your participation; enrollment is only confirmed once your registration fee has been paid. See the Partners in the Parks website to enroll in a program. Scholarship funds may only be used towards the registration fee of the Partners in the Parks program. The registration fee generally does not cover travel costs, gear or lodging before or after the program. Contact the specific program director of your chosen program for questions and details. Have you ever been in a 12-passenger van, holding your breath for fear that a snorting mother buffalo is about to charge? No? Given recent first-hand experience, I can say you’re really missing out. Growing up around the mountains and wilderness of the Pacific Northwest, I never felt a particular draw to the middle of the United States. While I appreciated what the Midwest has to offer, I didn’t see much excitement value in flatland recreation. I owe a lot of gratitude to my Midwestern High Plains Partners in the Park trip for proving me wrong each and every day of our week together. As I began my eight-hour journey from Seattle, Washington to Sioux City, Iowa, I had no idea what to expect. I certainly did not expect a gnarly tick bite, a reaction to poison ivy so bad that I would have to go to the medical clinic, or a sunburn that lasted for several weeks, but with every adventure comes a few challenges, right? 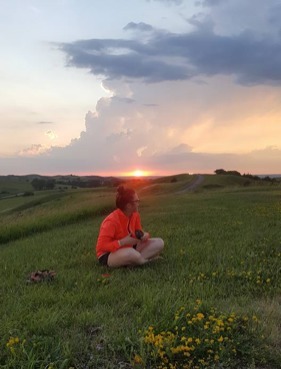 And what an adventure it was… I had so many opportunities to do new and exciting things, like search for invertebrates in the Missouri River with a biologist, float down the Niobrara River, ride horses, search for the near-endangered monarch butterflies in the prairies, and so much more. 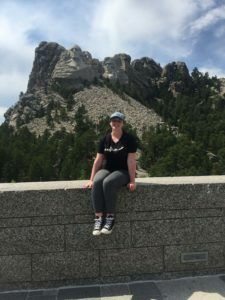 I challenged myself to embrace the unexpected on this trip and to set aside my preconceived notions of what Nebraska has to offer, and I’m so glad I did. I had very clear expectations for what my Partners in the Park experience would entail: I’d see some stunning scenery, learn a thing or two about our National Park system, and most importantly just get away from the city… Looking back, I was a bit too focused on this simple goal of escape to really consider what else this trip could offer me. Certainly a pouring thunderstorm, jumping into an ice-cold river, watching a meteor shower from the top of a van, plus a dozen informative and engaging talks with Rangers, haikus, and a fireside presentation from a cowboy poet were not in the original plan for my week in Colorado—but I’m very glad they were. In a normal setting, any talk that begins with “Now, let’s talk about how to be happy while you might in fact be miserable” is not the precursor to a fun outing. The phrase generally conjures a negative image of the activity to come and may contribute to you actually being more miserable in the coming moments then you might otherwise be. This, however, was not a normal setting. I wanted to go on an adventure not because I was a seasoned traveler and had stayed static for too long, but instead because I had, in fact, hardly ever traveled and was beginning to feel too comfortable… I had never done what I was about to do and my only prior experience in Colorado was a turbulent landing and long layover in the Denver International Airport. I knew no one who lived there. Knew very little about where I was going. And was doing it all on my own. On Mount Desert Island, Maine sits Acadia National Park. Few consider it splendid enough to group with the more celebrated National Parks like Yellowstone or the Grand Canyon, yet in the frigid northeastern tip of the US it waits for those eager to discover its beauty, and this past summer I was given the opportunity to do just that.